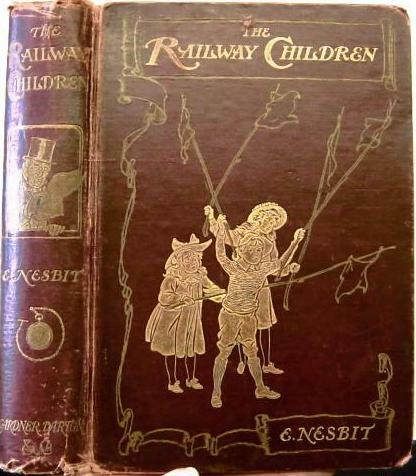 E. Nesbit's most popular children's adventure book first appeared as a serial in The London Magazine in 1905, before publication as a book in 1906. Ms. Nesbit basically invented this genre, where children have their own adventures in the real world. It's been popular ever since. The Railway Children has been adapted into movies several times. I. The beginning of things. VI. Saviours of the train. IX. The pride of Perks. XI. The hound in the red jersey. XII. What Bobbie brought home.